Escape the pressures of every day and let your worries fade away. Anytime of day, breathe in deeply to help you return to a state of calm and relaxation. Hold close to the nostril (or nose) and inhale, up to three times per day to give yourself the vitality you need to maintain your overall well being. Do not insert directly in the nostril. Seek urgent care if ingested. Do not use if pregnant/breastfeeding or with epilepsy/asthma. If allergic reaction/dizziness/nausea/headache/respiratory symptoms occur, stop use and call a health care practitioner. Hold both ends of your inhaler tube, then twist and pull to remove the cover. #SajeTip: After use, replace cover to preserve the integrity of your essential oil blends’ benefits and aromas. Hold the inhaler close to your nostril (do not insert) and inhale deeply to experience the benefits of essential oils instantly. Take your wellness conveniently on the go. 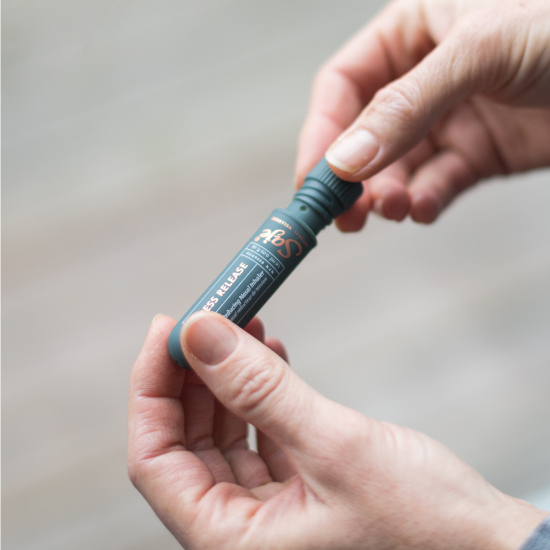 Using a cotton pad to conserve your essential oil blends, we’ve designed our inhalers to be spill-free. 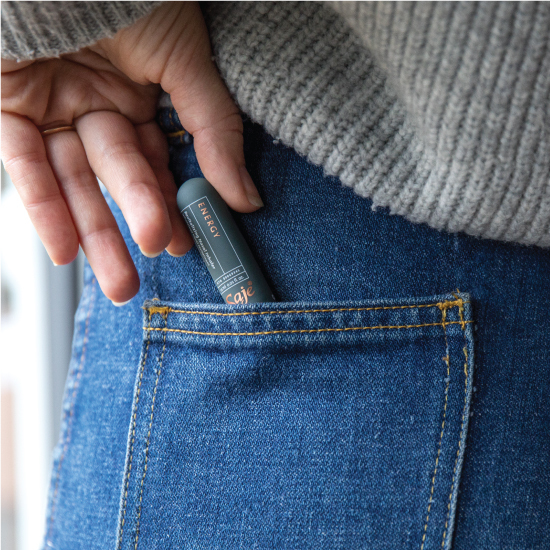 #SajeTip: Toss your inhaler in your bag or carry it in your pocket to breathe in the goodness of nature anywhere you go. Learn more about the benefits of directly inhaling essential oils here.